This exhibition was a sample of 150 illustrations which reflecting about the terrible situation is happening. According to UN data, there are more than 65 million refugees or haven seekers around the world. With this work I contributed to the collective exhibition about refugees in Valencia, Spain. Refugee children are growing up in a world that forces them to learn too quickly, being exposed to deep emotional traumas and convinced that violence is a perfectly valid way of resolving situations. To represent these psychological scars It used visual retentive as a memoristic tech which start from images inside of subconscious. 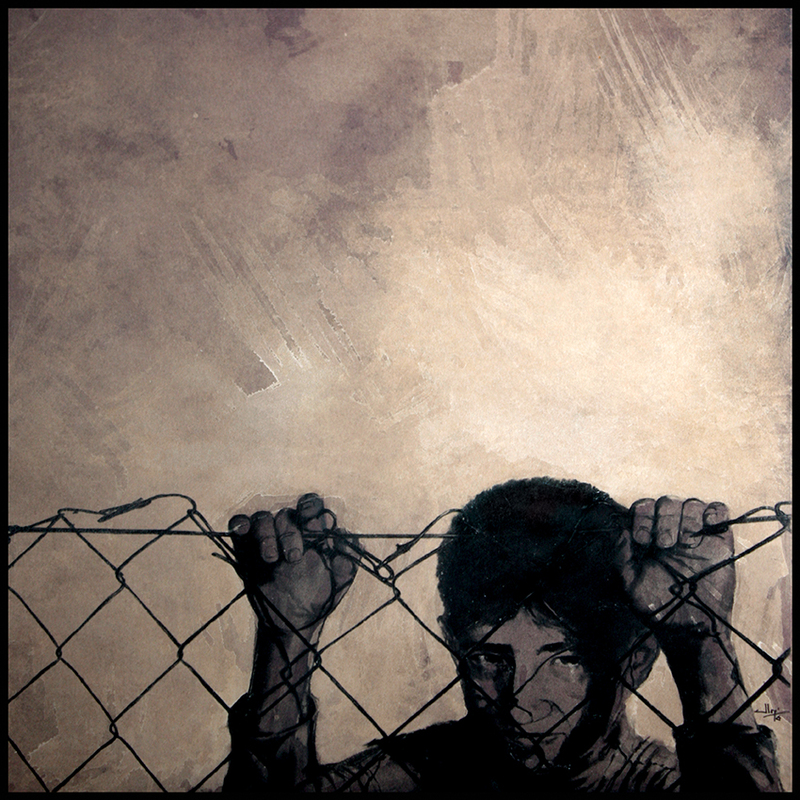 "Desde la valla" / "From the border"